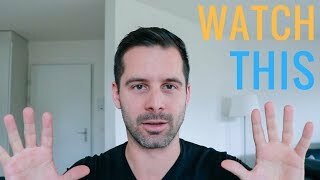 Qui n’a jamais rêvé de voyager à une autre époque? C’est l’expérience que la Fondation Artanim propose de réaliser en partenariat avec la Ville de Genève. 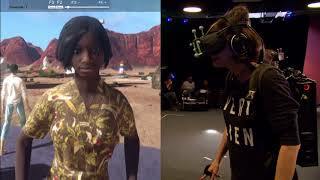 En utilisant la technologie de réalité virtuelle d’Artanim, le public genevois aura une occasion unique de plonger au cœur de Genève en 1850. On 16 April Startup INVEST’s Venture DAY will take place in Zurich. Instead of classical pitches there will be a so called “SoapBox” where participants can pitch in 100 seconds and without slides to the audience. 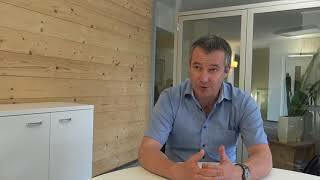 In the video Jean-Pierre Vuilleumier, Managing Director Startup Invest, speaks about the new pitching format and explains the advantages. 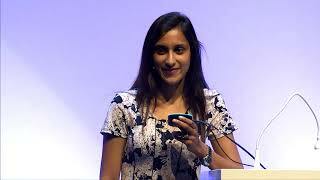 More information about the next Venture DAY on the website of Startup INVEST. 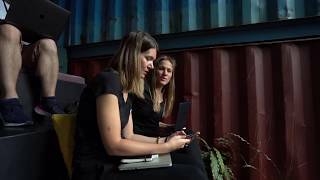 Meet Maria Guta, the artist behind Interlooped, the first ever volumetric capture live performance realised using technology from Swiss start-up Imverse. Michael Hagmann, Patient mit Muskeldystrophie (Bethlem Myopathie), erzählt seine Geschichte und Erfahrung mit dem MyoSuit. 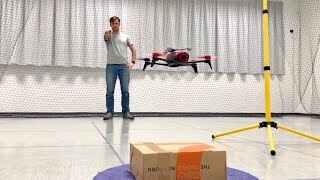 Der MyoSuit, ein robotergestützer Anzug, welcher wie eine zusätzliche Muskelschicht, Kraft und Stabilität verleiht. 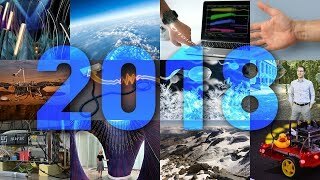 ETH technology that flew to Mars, rubber duckies that travelled around Duckietown in self-driving taxis and moles that warn of tumours – for ETH, 2018 was marked by innovative flair and extraordinary research. We take a look baETH technology that flew to Mars, rubber duckies that travelled around Duckietown in self-driving taxis and moles that warn of tumours – for ETH, 2018 was marked by innovative flair and extraordinary research. ETH Zurich takes a look back. 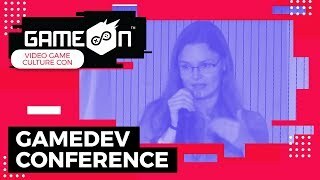 Philomena Schwab "How to build a community for your first game"
Philomena Schwab's (Stray Fawn) keynote talk at the GameOn conference. 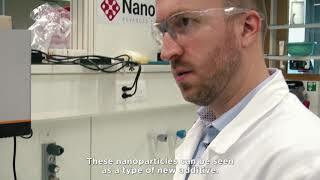 Portrait of Nanolockin, winner of the Fribourg Innovation Award 2018 / 2019. The best seven projects have been selected to pitch their early stage startup at the final of the ETH Enterpreneurs Club Award on December 6th at ETH Zürich. More than 1200 innovation projects are currently receiving support from Innosuisse, over 200 start-ups are participating in the core coaching programme. 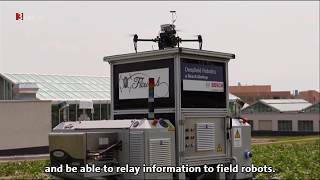 Some successful exaamples are presented in this video. 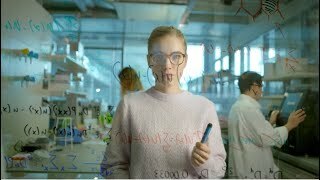 Digitalswitzerland hat die besten Videos für seinen Wettbewerb "Schule der Zukunft" gekürt. Gefragt waren Visionen für den Schulhof 4.0. In der Kategorie Primarschulen hat die Schule Igis gewonnen. 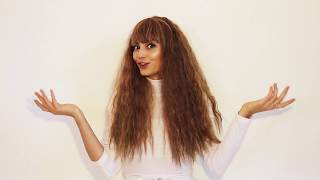 Das Video hält einige Überraschungen bereit. Bundesrat Johann Schneider-Ammann und die Swiss Entrepreneurs Foundation haben 30 Startup Vertreter aus der ganzen Schweiz zum Hearing ins Bundeshaus eingeladen. Mit dem Ziel die wichtigsten Bedürfnisse zur Verbesserung der Rahmenbedingungen für Startups und für das Unternehmertum zu erfassen und zu priorisieren, wurde ein intensives zweistündiges Hearing durchgeführt. Vertieft wurden dabei die beiden Themen "Besteuerung von Aktien und Optionen" und "Qualifizierte ausländische Arbeitskräfte" diskutiert. Watch Microsoft CEO Satya Nadella discuss how Microsoft is contributing to the local economy, the exchange between academia and research, and the opportunities of AI in Switzerland with ETH Zurich President Lino Guzzella. Ceno.bloc, the product of cenogent generate light. They allow, for example, to build extremely compact and powerful spots and floodlights for in- and outdoor applications. In addition, cenogent caters the lighting industry not only with technical expertise, but also with strategic insights on the executive level, investment advice, and intellectual property analysis. Fri Up supports the start-up since April 2017. Rückblick zum Tag der Offenen Tür im Technopark Zürich aus Anlass des 25-Jahr Jubiläums. 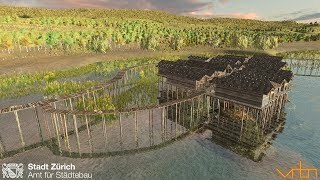 Source: Technopark Zürich Youtube Channel. More than 800 participants, almost 200 start-ups competing in the pitching battle, a very relaxed federal councillor and several interesting panel discussions and keynotes – the Startup DAYs 2018 had a packed agenda and numerous highlights. 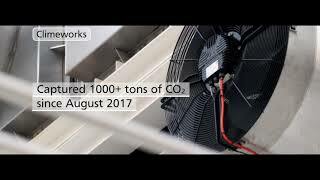 The video explains the technology behind Haelixa's products and how they help to improve the effeciency in the oil & gas industry and reduce the environmental impact. 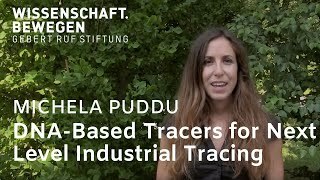 Source: Youtube Channel Gebert Rüf Stiftung. 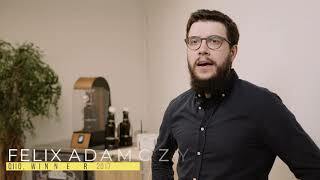 Swiss start-up Scewo presented it first product Scewo Bro on 21 September. The Scewo Bro can already be pre-ordered. Die «SBB Sandbox» findet vom 16. bis 21. Oktober in der Haupthalle am Zürich HB statt. Startups können Produkte und Prototypen mit Hunderttausenden von Reisenden testen. Im Video verraten einige Jungunternehmer, was sie testen wollen und was sie sich von der Sandbox erwarten. 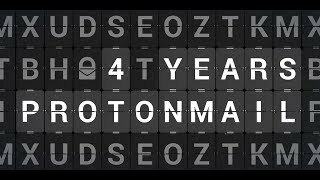 Four years ago, over 10,000 people contributed to ProtonMail's crowdfunding campaign and jumpstarted its mission to create a more secure and private Internet for all. The job is far from done. Today, the team reflect on what they have accomplished together with the ProtonMail community and where they are going next. 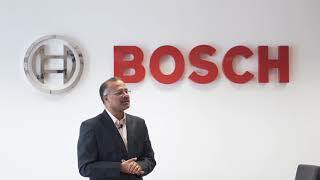 As part of its open innovation initiative with Swiss start-ups, swissnex India interviewed Mr. Guruprasad, Vice President of Robert Bosch Engineering and Business Solutions, about his view on Open Innovation as a 'No one has it all' approach and, addresses various startup expectations and collaborations. MyoSwiss is combining robotic and textile technology to help people with muscle weakness regain their mobility and independence. 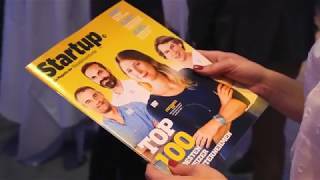 On September 5th, the winners of the TOP 100 Swiss Startup Award 2018 will be revealed. 100 investors chose the 100 most promising Swiss startups of the year. In the video above you can rewatch the highlights of the 2017 award night. And yes, the startupticker editorial board will be there, too. 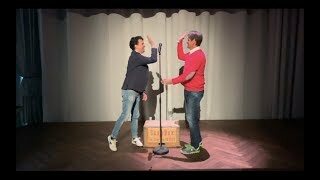 Beim Finale des 17Ziele Poetry Slams traten Slamerinnen und Slamer aus ganz Deutschland mit ihren Texten zu einer besseren Welt gegeneinander an. 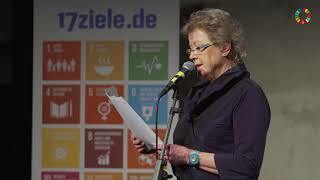 Die Kandidatin Rita Apel empfiehlt in ihrem Text über Mikroplastik die Schweizer App Codecheck, um Mikroplastik und andere Inhaltsstoffe zu kennen. 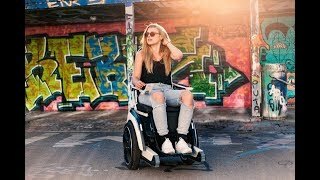 Das kommt gut an - nicht nur in Berlin: das Video hat bereits über 300'000 Views. Le «Alaïa Chalet», qui est actuellement en cours de construction à Crans-Montana (VS), sera le premier centre d’activités indoor et outdoor de Suisse. Il ouvrira ses portes cet hiver encore. Vous en apprendrez davantage en visionnant la vidéo consacrée à ce projet, et pourquoi il bénéficie du soutien des cantons via la NPR. In a recent project Rethink Resource helped Swissmitt to find an alternative use for a sidestream which is bran. The team from the startup found out that bran is ideal for growing fine mushrooms and connected Swissmill with Fine Funghi, a Swiss producer of fine mushrooms. 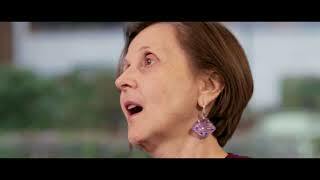 Brigitte Baumann - Do you have what it takes to be a Business Angel? 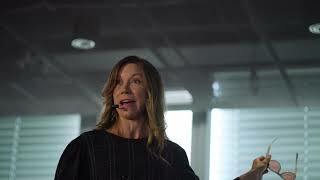 Brigitte Baumann, Founder of Go Beyond Early Stage Investing and Business Angels of the year 2015, explains what should be considered before deciding to act as a Business Angel. Source: ESIL Youtube Channel. You can join the ESIL Community by registering on Euroquity. 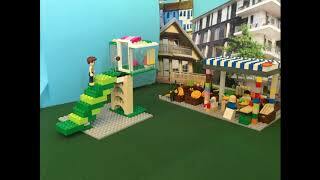 On Site Digital Fabrication aims to bring digital fabrication onto building sites. 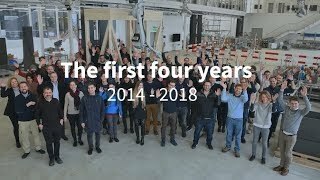 The video covers the first four years of the NCCR Digital Fabrication. vrbn is proud winner of an Esri Partner Conference 2018 Award, in the category "Creating Realistic Context". Out of 2500 Esri Partners world wide, 12 won an award. Among those, only 3 were able to create a special spotlight video as this one! vrbn is a unique tech consultancy, specializing in tools and services around the 'digital 3d city'. Enterprise Bot presenting their technology at the DIA conference in Amsterdam along with Martin Frick, COO at Generali Switzerland who speaks about how the two companies collaborate to use AI automation. The QSorter is the most advanced single kernel sorting technology for grains, seeds, and beans. The unique and proprietary QualySense transport solutions allow the precise alignment and sorting of each individual kernel at very high speeds. This high mechanical efficiency enables the accurate measurement of multiple properties of each grain, seed, or bean in only one pass. 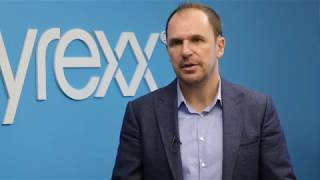 Interview mit Ivan Schmid, CEO von Payrexx. Mit der Hilfe von be-advanced und dem Coaching-Netzwerk platinn hat das Online-Payment Unternehmen Payrexx seine Gesamtstrategie geschärft und organisatorische Veränderungen vorgenommen. Anhand einer im Coaching ausgearbeiteten Internationalisierungsstrategie ist das Thuner Unternehmen nun im Begriff, Europa zur erobern. 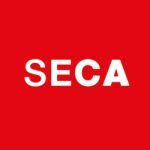 In this video, four entrepreneurs that have won the seif Award in different years share with you their story and their advice. 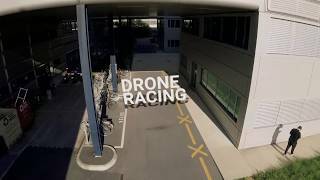 EPFL Drone Days 2018 will feature drone races, a robotics expo and expert speakers from around the world. Drone Days will take place Friday 31 August – Sunday 2 September. The revised edition of the 60-page publication ‘Higher Education and Research in Switzerland’ has just been published. It contains facts and figures on the Swiss higher education and research landscape and uses portraits to introduce Swiss cantonal universities, federal institutes of technology and universities of applied sciences. The publication is available in German, French and English. 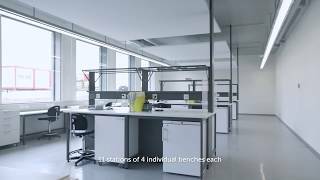 Discover StartLab, the first lifesciences incubator in the Canton of Vaud, offering a “pay as you play” flexible pricing model. Blockchain Summit - Crypto Valley – 26. April 2018 – Zug, Switzerland «Corporates vs. Startups» With over 60 speakers delivering the high quality keynotes and panels on the Mainstage, over 700 participants and nearly 30 Startups presenting their projects in the Startup Hall. 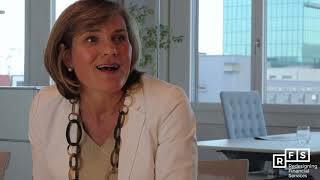 Carola Wahl is the Chief Transformation and Market Management Officer (CTMO) of AXA Switzerland. In this interview, we spoke about AXA Venture Partners and the need to partner with fintechs. Source: Youtube Channel of RFS Redesigning Financial Services is an independent think tank founded by the Institute for Customer Insight at the University of St. Gallen (HSG), the Institute for Technology and Innovation Management at the Federal Institute of Technology (ETH), and EY. The RFS mission is to accelerate the structural transformation in the financial services industry in the interests of the customer. Conventional keys can be copied easily, but not the keys from the start-up company Urban Alps. Researchers from ETH Zurich and BFH make the 3D metal printing and design tools suitable for this industrial application. Day after day, the 800 experts of the SIB Swiss Institute of Bioinformatics work hand in hand with life scientists and clinicians to make sense of an ever-increasing amount of biological data. They develop software and algorithms, they curate and preserve the wealth of knowledge contained in the scientific literature for future generations, they conduct powerful analyses to discover, predict, prevent, cure… for the benefit of society. 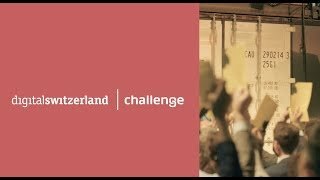 Impressions of the digitalswitzerland challenge Demo & Pitch Day 2018. The challenge is an invitation to the leading minds of the country to jointly develop innovative concepts and crazy ideas and to put them into action. First results and new bets have been presented at the Demo & Pitch Day. Video submission to Human-Robot Interaction conference in March in Chicago by a team from IDSIA Lugano. The ETH Innovation & Entrepreneurship Lab (ieLab) is the one-stop support organization for all members of ETH with entrepreneurial ideas and questions. The ieLab is also the home of ETH spin-offs and Pioneer Fellows pursuing their ambitious entrepreneurial plans. 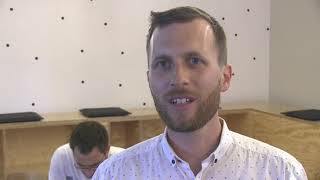 The ieLab supports (potential) founders with its huge network of experts in all business aspects, with coaching by serial entrepreneurs and industry experts, with special trainings, with valuable events organized regularly, and with easy access to investors and the Swiss start-up ecosystem. 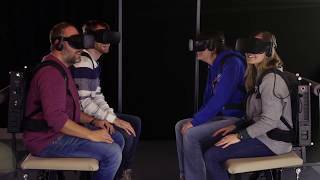 VR_I – is a 100% virtual dance piece in which five spectators are immersed, in real time, within a virtual space. Immersive and contemplative, the performance invites viewers (or rather their avatars) to follow their own point of view. 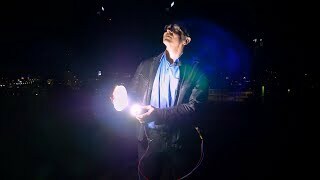 This unique installation addresses the user’s perception of reality and own ability to adapt instantly to possible worlds—worlds that they accept as long as they meet certain criteria of our reality. 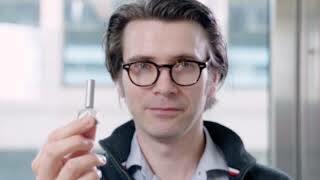 The performance is Swiss-made and was created by Cie Gilles Jobin and Artanim, both from Geneva. VR_I will be shown in Lausanne from 27 April to 6 May. Reservation on the website of arsenic. 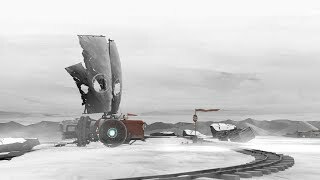 »FAR: Lone Sails« is a vehicle adventure game. The player needs to maintain and upgrade their unique vessel to traverse a dried-out sea. 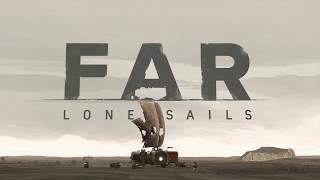 FAR: Lone Sails will be out on Steam on 17 May. Sendtask is a collaboration tool that allows you to work efficiently with anyone — without them having to create an account. While the recipient needs nothing but an email, they still get access to all the features of a task manager. This includes due dates, attachments, comments and — of course — completion. Hundreds of users are using Sendtask everyday, now the startup is looking for feedback to make the tool even better. HYDRO_BOT will solve one of the biggest challenges in sports, work and protective clothing: to obtain a moisture transport that actually matches human sweat rates at various climatic conditions and activity levels.